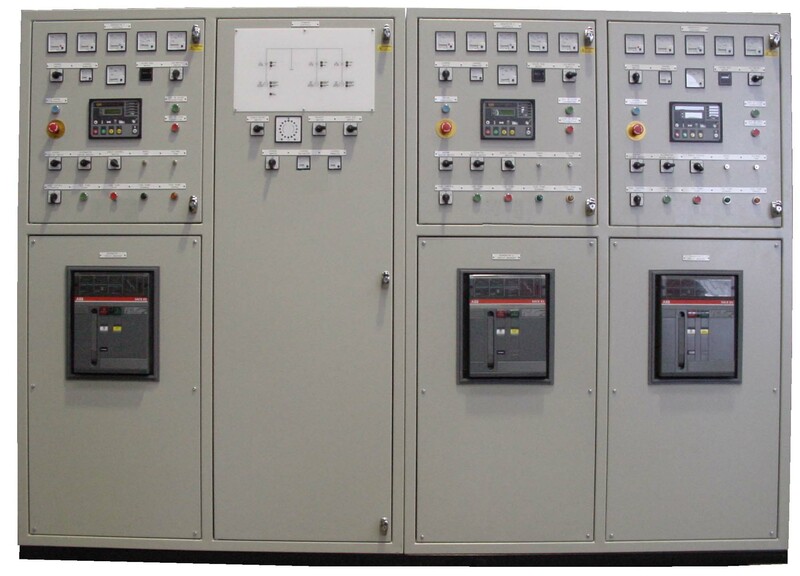 PowerCo control systems offer a wide range of control system specifications to suit your particular requirements, we tend to use Deep Sea Electronics for the control modules, and ABB for the actual switchgear. We decided during 2009 to standardise on the Deep Sea 7210 digital auto start control module and move totally away from using anologue instruments. We offer Automatic Mains Failure Sensing and Mains Monitoring upgrades by using the 7220 DeepSea module, and also for more complex requirements we use the 7310 and 7320 modules. We offer a full range of automatic transfer switches (ATS) (Change-over panels) which are controlled by either their own mains sensing modules which also send a remote start signal to the 7210 control module, or alternatively they can be fully controlled by the 7220 mains failure module. There are several different automatic synchronising control formats that we offer, from single set generator mounted systems to multi bay floor standing control panels. We are also about to introduce the new range of Deepsea automatic synchronising controls from their 8000 range which will replace the current 7000 series. There is the generator to generator 8610 module and the generator to mains 8660.